Some U.S. negotiators believe that China has begun to walk back pledges made to protect intellectual property in talks to resolve the trade dispute between the two countries, Bloomberg reported Tuesday. 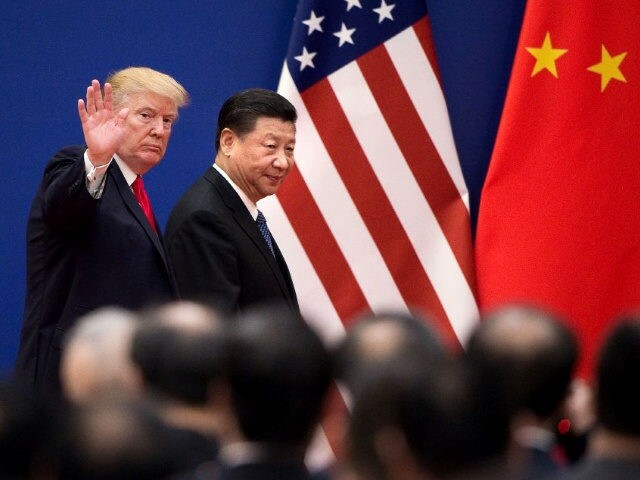 Despite the report of China pushing back, President Donald Trump said Tuesday that the talks are going very well. The Wall Street Journal reported that U.S. Trade Representative Robert Lighthizer and Treasury Secretary Steven Mnuchin will travel to Beijing next week for high-level talks. Chinese Vice Premier Liu He will visit Washington the following week, according to the Journal. The hope is that these talks could lead to a meeting between Trump and China’s Xi Jinping in late April. Trump has now twice delayed raising tariffs on China’s imports. The administration imposed a 10 percent tariff on some $200 billion of Chinese goods last autumn, adding to the higher tariffs on an additional $50 billion of China imports. That 10 percent was lower than expected and was set to rise to 25 percent on January 1. At a trade meeting in Buenos Aires in December, the tariff hike was put on hold until March 1. It was then suspended indefinitely while talks continue. China is seeking reassurance that the current tariffs will be lifted. Some in the administration believe those tariffs should be kept in place until U.S. officials are satisfied China is living up to its commitments. Instead, the current talks would simply win China a lasting reprieve from the threat of further tariff hikes. Bloomberg reports that China has pushed back against this, demanding an immediate lifting of tariffs in exchange to structural changes to its rules over foreign investment that the U.S. government says facilitate forced technology transfers by requiring U.S. companies doing business in China to partner with a domestic company. “Beijing has also stepped back from its initial promises over data protection of pharmaceuticals, didn’t offer details on plans to improve patent linkages, and refused to give ground on data-service issues, one person familiar with the U.S.’s views said. Beijing is trying to bring in wording that would ensure rules in the trade agreement have to comply with Chinese laws, the person added,” Bloomberg reported. Interestingly, Bloomberg also reports that “a person close to Lighthizer” has denied that Chinese officials have been backpedaling. One U.S. official, who spoke on the condition of anonymity, told Breitbart News that it was unlikely any meeting to finalize a deal would take place in April. “We still have to far to go and the Chinese are dragging their heels,” the official said.